2600 / 7800 fans: future controller ideas? Input welcome. 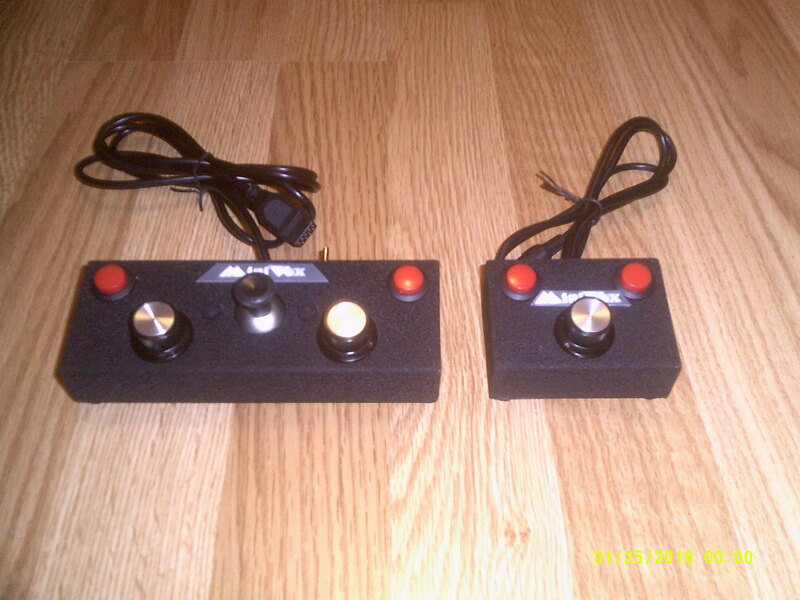 The two MiniVex controllers in the photos are my most recent creations for the Atari 2600 and 7800. Since posting these publicly I've received some interesting suggestions for future models and enhancements to these particular two, such as stand-alone mini paddles and stand-alone mini joysticks. A couple of my offerings for the Vectrex were directly suggested by folks in the Vectrex community. So I ask you, 2600 and 7800 devotees, what would YOU like to see in future controllers? I think a simple CX40 design with an extra button would be superior for 2600/7800 play. Mount the extra button directly below and to the left of the main fire button, or on the opposite side of the corner, where your index finger rests naturally. Am dead shocked nobody has come up with such an obvious solution yet. I think a simple CX40 design with an extra button would be superior for 2600/7800 play. Mount the extra button directly below and to the left of the main fire button, or on the opposite side where your index finger rests [bold]naturally[/bold]. Am dead shocked nobody has come up with such an obvious solution yet. I turned a bunch of Wico sticks into Spy Hunter controllers, back in the day. Think of the Kraft Apple ][ joystick (sans its out of place springy analog stick in a digital environment) for the first example. The second idea where your index finger naturally rests alongside the bottom half of the base, is where the second button could be. I have seen the mod, you are talking about, with a smaller button. The one I saw, had a lame push button, located under the fire button. That one looks unusable. I also saw one, with a button on the side before. I would pay real money for that. Especially if the joystick switches were high quality. Lots of hobbies, little time, loads of fun. I was always a fan of the Bally Astrocade joystick. Nice pistol grip with stick and paddle knob at top. Simple. Easy. Versatile. 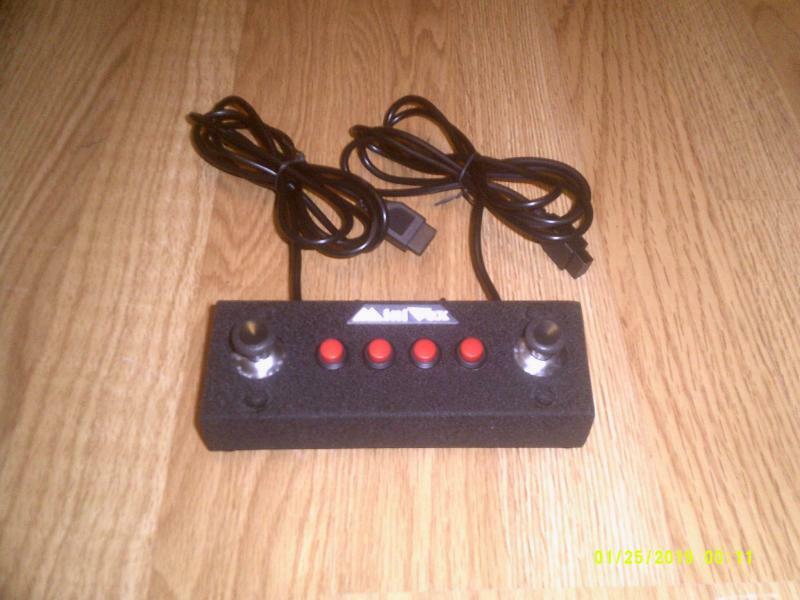 1) Get a 15 pin PC Wico Command Control joystick or an Advanced Gravis joystick or a Gravis PC Pro joystick. Any of these will work fine, but the Wico is best. 3) A Sega Master System Rapid Fire adapter (obtain from various sellers on Ebay). Edited by ave1, Tue Mar 19, 2019 6:06 AM. How did you set up the switch for the joystick / paddle controller? Can you show the wiring? Will send you a scan of my poorly hand-scribbled schematic soon's I get the chance.